Adam J. Gam is VP of Marketing for Perfect Corp. He has over 20 years of marketing experience with a proven record of translating business goals to operational reality. Perfect Corp. is the developer of YouCam the world’s most downloaded beauty app that uses AR and AI to allow users to virtually try-on makeup, share selfies and instantly purchase product from their mobile device. Priory to join Perfect Corp., Adam was a AVP of Marketing at L’Oréal USA where he received a 2015 Beauty Shaker Innovation Award. 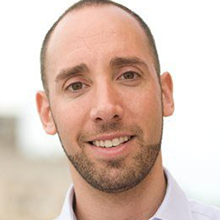 Adam holds a BBA with an emphasis in marketing and finance from the University of Michigan and an MBA with honors from Fordham University Graduate School of Business, where he also teaches as an Adjunct Marketing Professor in Experiential and Luxury Marketing.